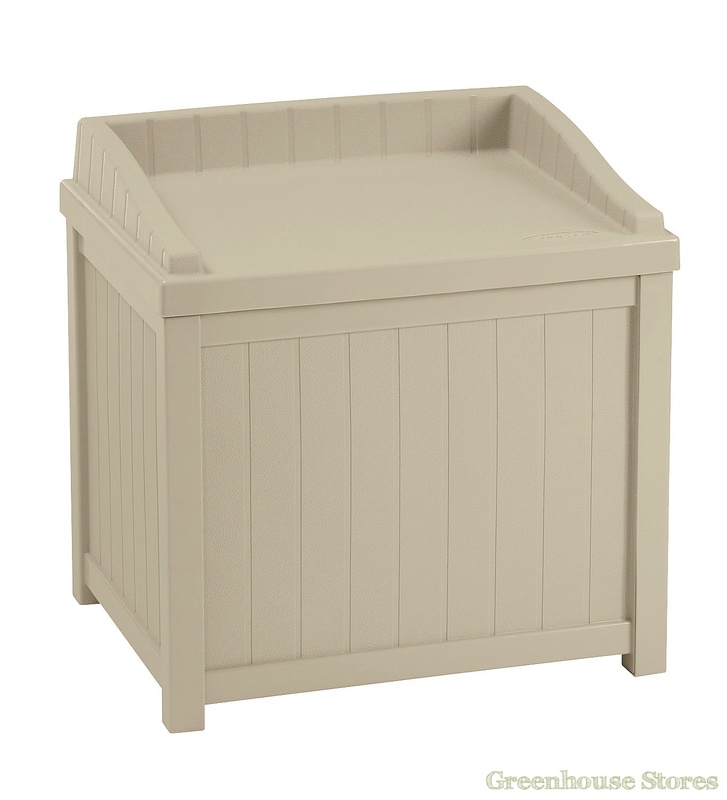 570mm (1ft 10") Wide Plastic Box - With built in seat. Resin Construction - Superior strength. 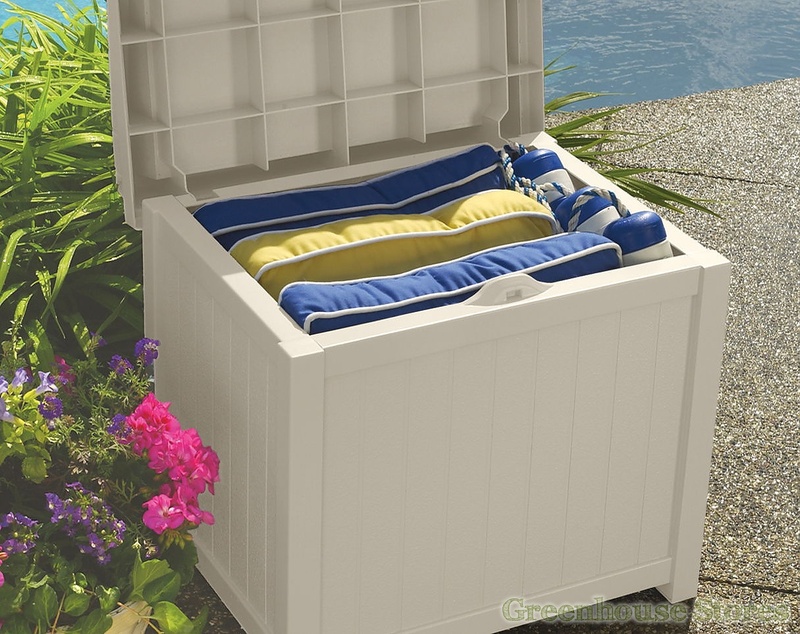 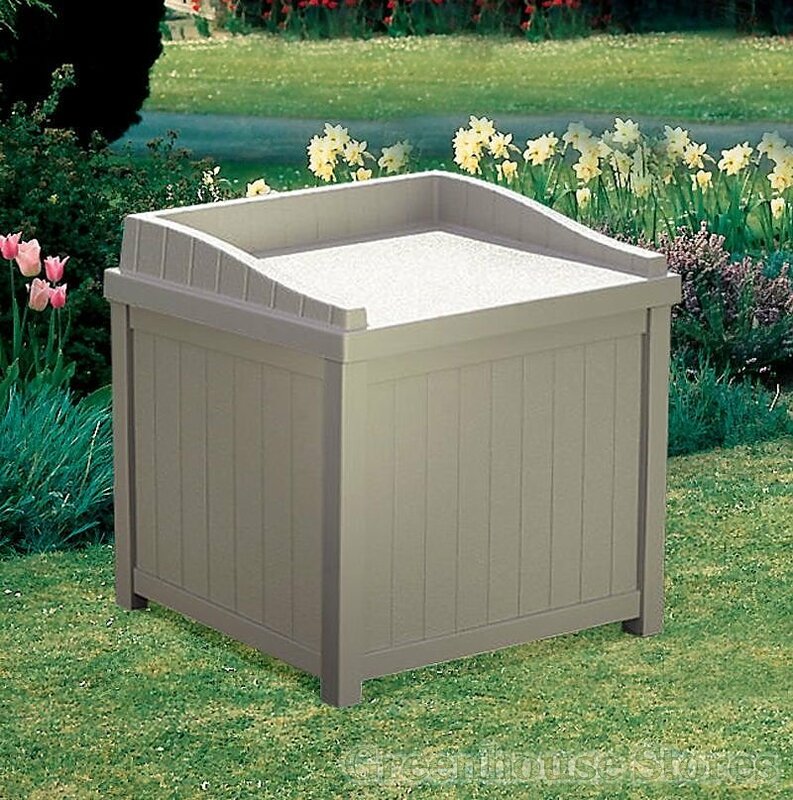 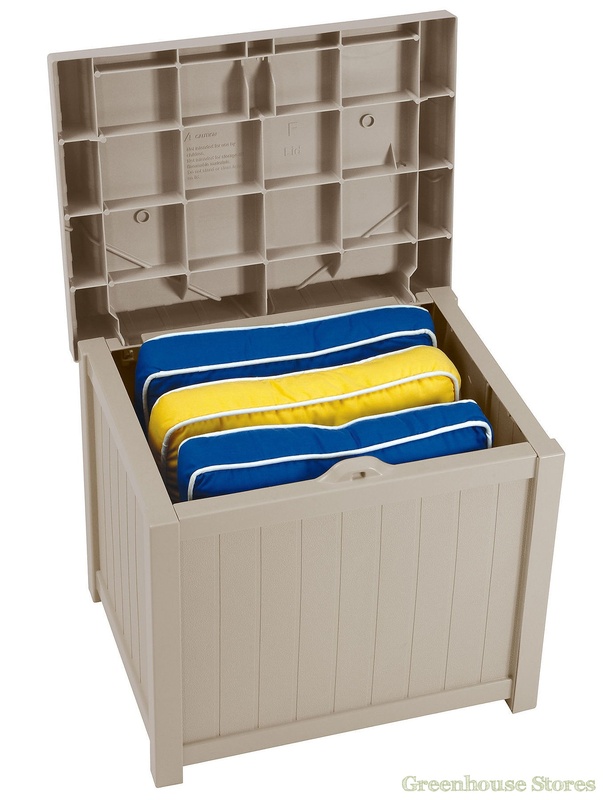 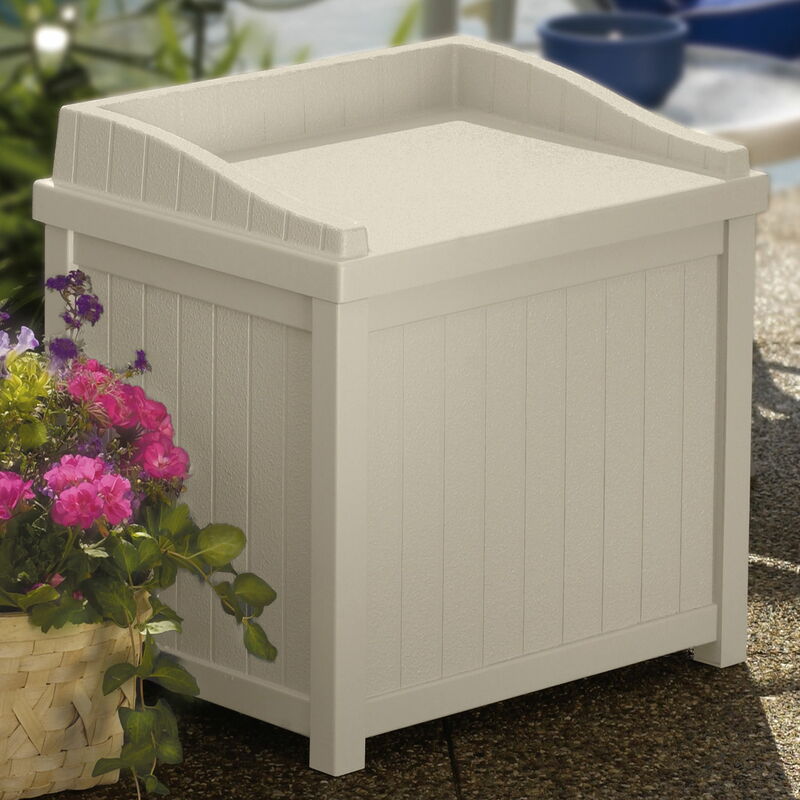 The Suncast 83 Litre Plastic Storage Seat that is great for your smaller items like salt in the winter or garden tools.